Whenever we do write the room, my students are so engaged! They love scrambled sentences as well so putting the two together equals super student engagement! I have included two options for differentiation. 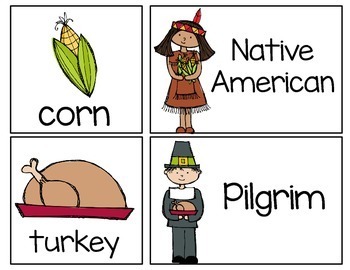 The first set has numbers to tell students the order of the words. They will still be responsible for reading each word and sentence. The second option includes no numbers so students can order the words themselves. They will do this by focusing on punctuation, capital letters, and what makes sense. This encourages students to reread for meaning. 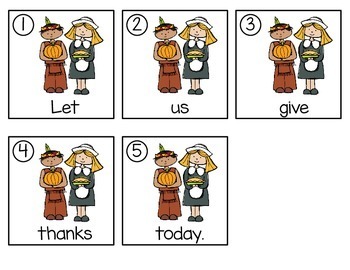 I plan to place both sets in my word work center and let each reading group know which set they should work with. You can still use these as write the room cards to get students moving by displaying each picture set (mixed up) somewhere in your room. 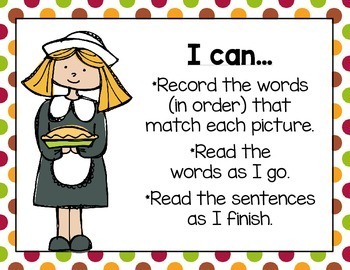 I have also included an 'I can' chart to display to remind students what to do, word cards and a writing prompt. 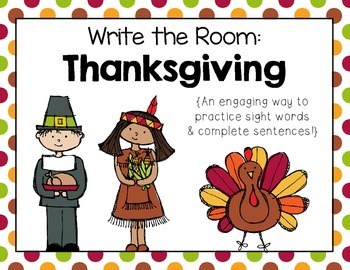 This center is simple prep: print, cut, and display the word cards around the room OR at your word work/write the room center. I plan to print the recording sheet front to back to save on paper. RF.1.1a- Recognize the distinguishing features of a sentence (e.g., first word, capitalization, ending punctuation). RF.1.3g Recognize and read grade-appropriate irregularly spelled words.